Jeremiah Morrell and Dakota Davis discuss the happenings of their rural Indiana county week to week. The Boss Hog of Liberty is a local show with a national impact, because everyone in the world lives in a county similar to theirs. The crew details their lives and gives interview opportunities to the world's top experts in politics, policy, economics, and anything else they find interesting! 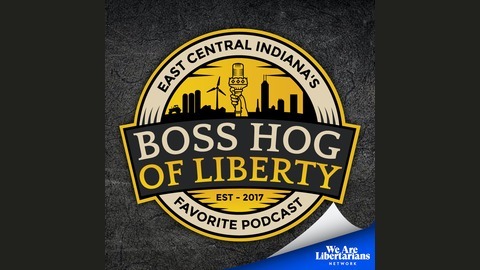 Listen today, and support the show on Patreon at patreon.com/bosshogofliberty. 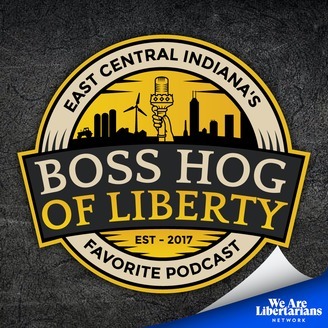 Episode 108 of Boss Hog of Liberty is now available! Jeremiah Morrell and Dakota Davis are your hosts. Kade Koger is the 3rd chair. Physical and digital security expert Josh Gideon was here. We talk about his recent book, dealing with worship building security and risk assessments. This pivoted to the Notre Dame fire...Is Jeremiah a terrible person? We talk about Julian Assange’s arrest; is he a hero or villain? The Nathaniel Hale of our time, or is he a treasonist worse than George Bluth? Local issues include a potential of the City owning the old Castle Theatre. Local officials are not on the same page. Dakota has STRONG feelings. Finally Jeremiah notes that it is road paving season and we don’t have a local option because of previous choices. Kade polls the crowd on fighting off canadian geese. Members will get an invitation to the May 2nd show and book signing!